Brighton Roof Repair | Brighton Roofing Repair | Brighton Home Roof Repair | Brighton Home Roofing Repair | Brighton Residential Roof RepairMcGlinch & Sons CO.
For close to a century, McGlinch & Sons, Co. has been the preferred roofing repair company for customers throughout Metropolitan Detroit and Southern Michigan. Our family-owned and operated business has the most talented and proficient roofing repair experts who deliver the services clients want at a price they can afford. McGlinch & Sons is well-known for not only meeting customers’ expectations, but for actually surpassing them. We know all too well that high-quality roof repair work is very important as much for appearance as it is for function. 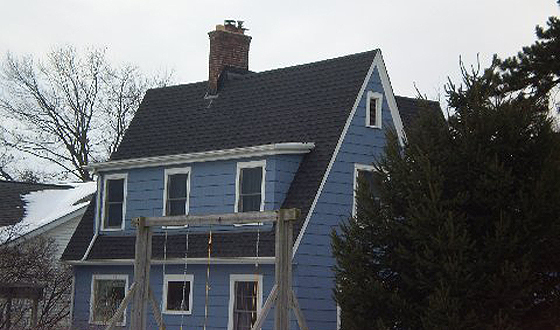 Widely acknowledged as one of the foremost roofing repair businesses in the region, McGlinch & Sons has the background and experience to handle all of its customers’ requests in a timely manner and affordably. It makes perfect sense that whenever Brighton homeowners are looking for the best residential roofing repair services, the only name they need to know is – McGlinch & Sons. Brighton, Michigan is a suburb of Metropolitan Detroit and found in Livingston County. There are close to 8,000 residents who call Brighton home. On the occasion Brighton homeowners are searching for the best roofing repair services, they go to the best roof repair company in the industry – McGlinch & Sons. Our team of roof repair professionals have been offering Brighton homeowners the best residential roof repair for about 97 years. We are keenly aware of how difficult it often is for Brighton residents to track down the best in the business. With McGlinch & Sons, Brighton customers know they will receive the most exceptional services and the most competitive prices. Without question, our reputation precedes us, and that is due to the fact that McGlinch & Sons has built its home roofing repair business on integrity, honesty and reliability, and that is why Brighton customers prefer them to their rivals. McGlinch & Sons, Co. is anxious to do whatever possible to make your house a home with our residential roof repair. Our unmatched work and dedication is known for transforming residences into the warm and welcoming homes owners want them to be. You can always rely upon McGlinch & Sons to place your needs first and strive to achieve excellence in all we do for you. We view every new customer as an opportunity to win them over as a “satisfied” customer! And, after nearly 100 years in the roof repair business, it is not unusual for our “new” customers to be second and third generation customers! If you are interested in a FREE estimate from McGlinch & Sons, give us a call, today, at: (313) 278-2777 West Side; (586) 776-8912 East Side or (248) 987-6300 Oakland for a FREE estimate. We offer our customers a lifetime warranty on our shingles and a 25-year non-prorated warranty on our labor.